I do recognise the Brooke Bond Dividend stamps. I hadn't realised there were diffeent sizes. 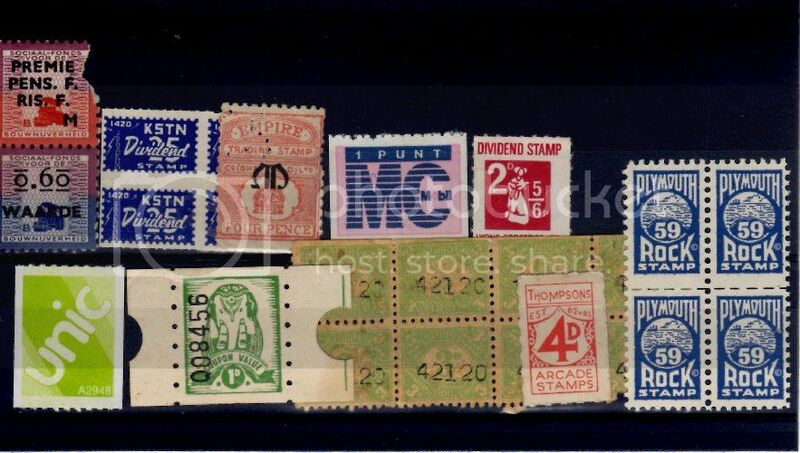 before Schuster stamps in the US 1891. I am sure I have seen Trading Stamps covered in a Cinderella Stamp Club magazine but all my copies are in storage while I move house. Anyone else have a copy? to know if that is not correct. That link provides a fascinating read! I would never have thought that reading Hansard could be so educational and interesting but it is a true window on the times, the House Of Lords, and the suspicion trading stamps were held in during their early years. 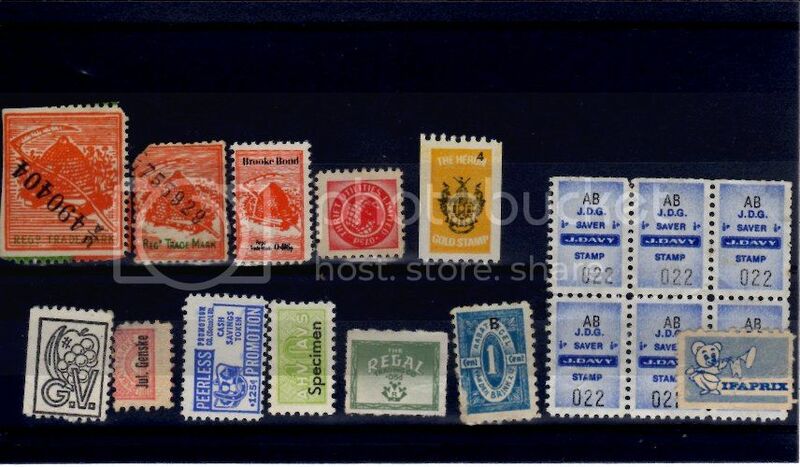 Here is a set of savings stamps of a different kind issued by Israel Post Office, Circa 1960.